Join us to explore Pennsylvania German herbalism traditions, learn about plants you can forage for practical use, and try your hand at turning these plants into delicate works of art! FREE, registration required. Space is limited. Susan Hess is the director of Homestead Herbalism, a year long foundational course offered at The Still Room at Pitch Pines in Mays Landing, NJ. A longtime resident of Chester County, PA, her work is shaped by Pennsylvania German herbalism practices and incorporates knowledge from diverse traditions. She is a 1996 graduate of the respected David Winston’s Center for Herbal Studies in Washington, New Jersey. 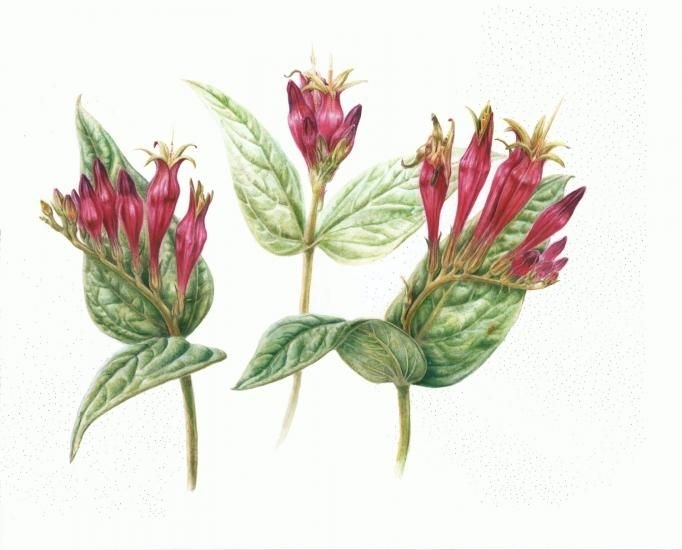 Judy Simon is a botanical artist living in Berks County, PA. She combines her love of gardening with her drawing and painting career. 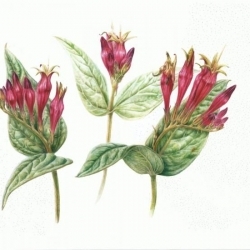 She has exhibited in numerous juried exhibitions and is a member of the Philadelphia Society of Botanical Illustrators and the ASBA. She is a graduate of Kutztown University, Kutztown, PA with a degree in communications design and has studied botanical art with Joan Frain, Exton, PA and at Longwood Gardens.